Read about these license requirements: You must hold a high school diploma or equivalent. You must pass a criminal background check. | See the Commission website for its rules and regulations. Read more about the courses here. | See our classroom schedules. | Or take one or both courses online. Learn about Career Start here. | Get the Online Package here. 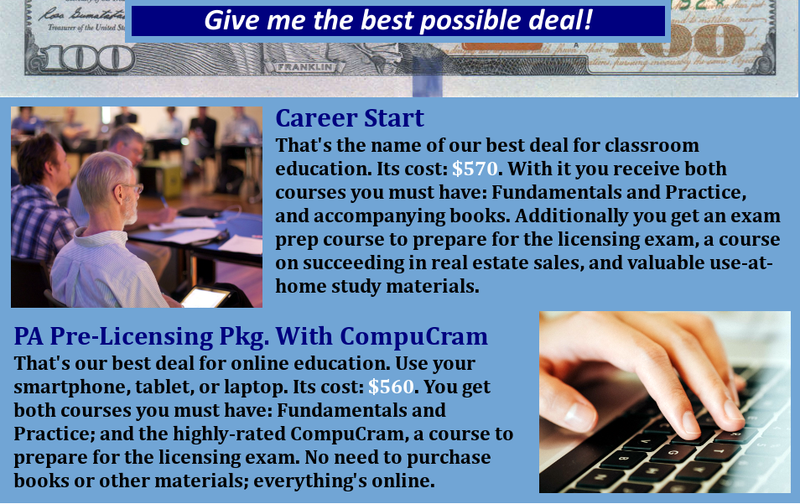 | You can buy classroom and online courses individually, and even take one of each. It’s your choice! You’ll need to pass a criminal background check. Get it online, here. Need more help? Call, e-mail, or fax us.| Get enrolled now! 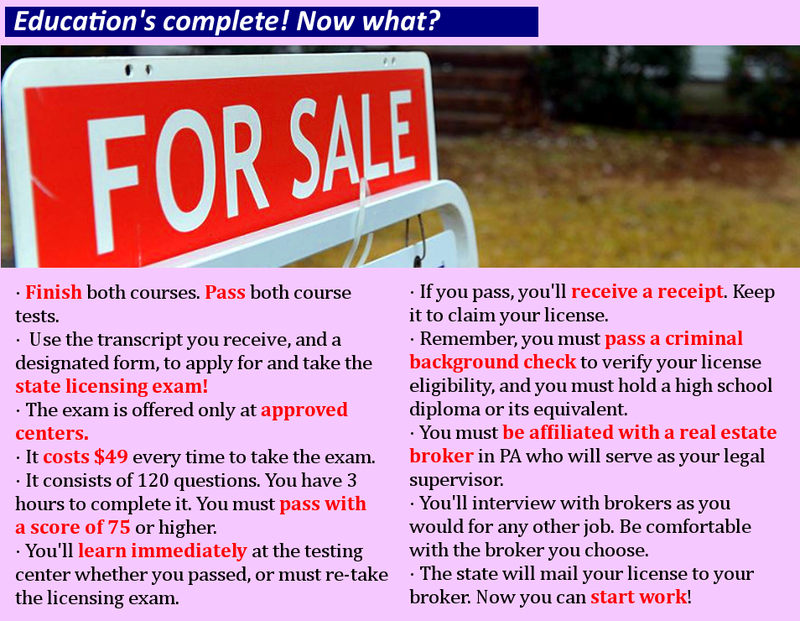 Get answers to your questions about licensing, and succeeding in PA real estate sales. We periodically update the Polley Associates' website to be more helpful to our users. Nope, you missed the boat. How could we improve what you read? Leave your e-mail address if you'd like a reply.